There are several books that Bosch has done on the shells from this part of the world. This one is the earliest of them and to my mind it is still the best one. Apart from a few introductory pages the book is devoted to thoroughly covering the shells from this little-explored part of the world. 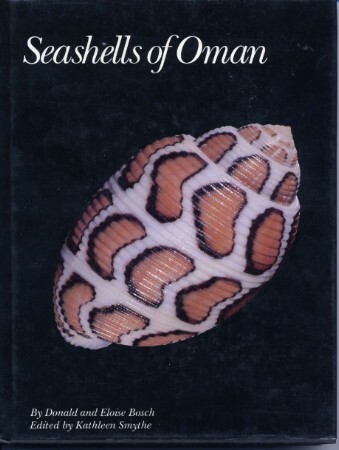 Many of the shells are endemic to Oman, and there are many newly described species can be seen illustrated for the first time in a popular book. The book contains very good color, and they are well described. This copy is a used book, but it can easily pass for new. We bought them at a very good price and can pass our savings on to you. One copy has a small label on the spine which was for library placement of the book in the owner's collection and also has a bookplate with the previous owner's name inside the front cover..